Yes, yes indeed. However when Wildest Dreams Book Box was announced, I knew I couldn’t resist. 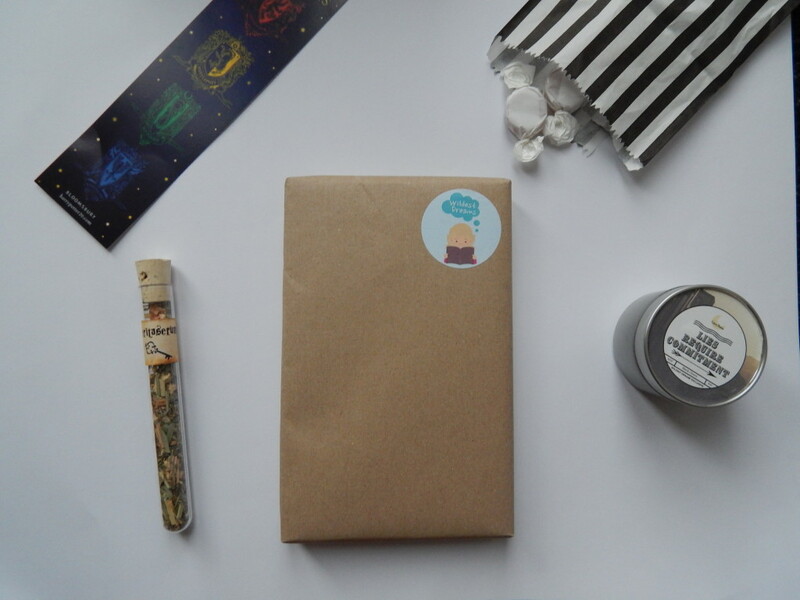 Run by a book blogger and youtuber, Wildest Dreams is a YA themed subscription box that is packed full of goodies and of course a new book every month. The big selling point for me? It’s actually affordable. While I love FairyLoot (and am partial to the odd box here and there), I just can’t afford to make it a regular expense. Most other book boxes on the market seem to be a similar price too. A treat, but a rare one by necessity. Happily – for me and my bank balance – Wildest Dreams comes in at a cheaper price. It costs £18 a month, which is less than I pay for my phone bill. You do get slightly less for the cost but the products that are in of a really high quality and full size. I still think that you get a LOT for your money. The theme for February was Truth & Lies, which I was very excited about. It was also the first box that I was receiving since I somehow managed to miss January’s when it came out. You can only imagine how hyped I was! And since I am so kind, I thought I would show you what was inside. If you don’t want any spoilers, you should probably look away now. This is what I saw when I first opened up the paper inside the box itself. I immediately spied a Taken Moons candle that put a massive smile on my face. A closer look told me that the candle was inspired by Divergent and had the most amazing cherry scent. I’m looking forward to burning this one soon! 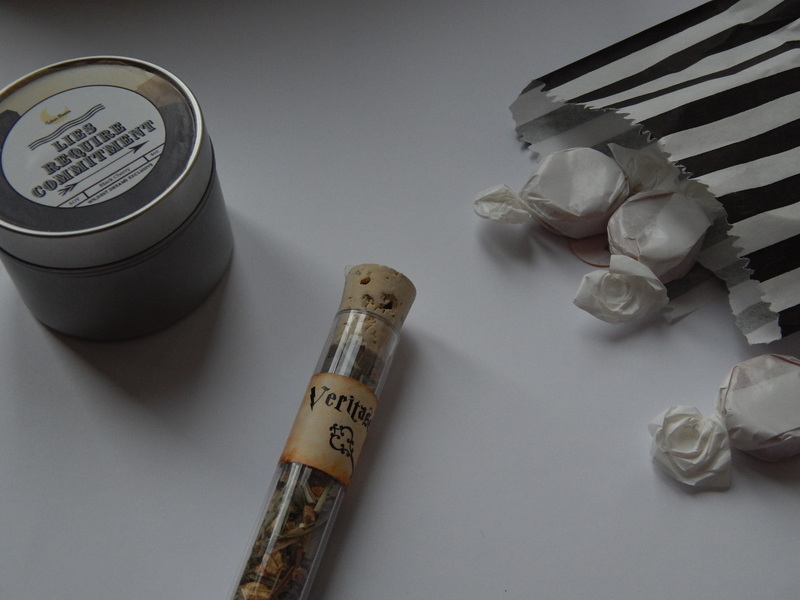 The mysterious test tube actually contains tea and ‘Veritaserum’ tea nonetheless. I loved the Harry Potter touch. This looks so pretty in its tube that I’m almost reluctant to try it however! The striped pouch was home to some sweeties, which was a lovely little touch. because inside was this month’s book. 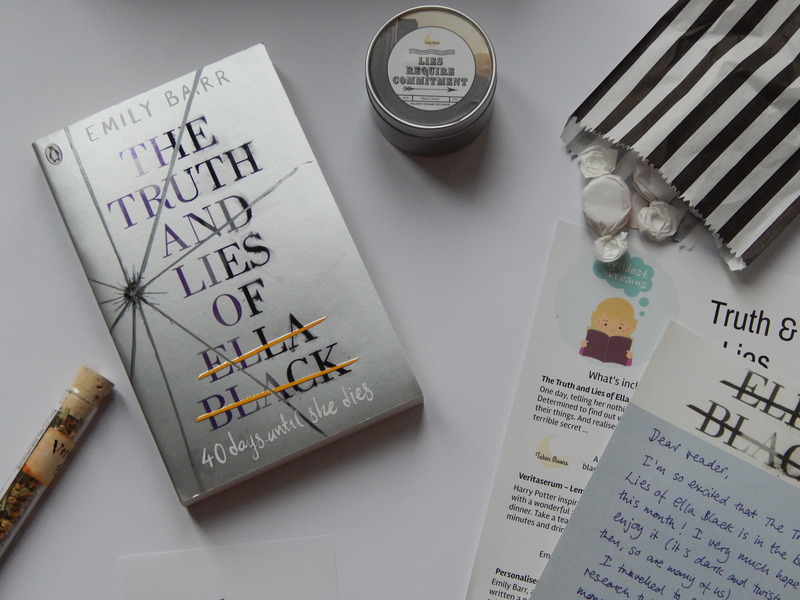 I’d never heard of The Truth and Lies of Ella Black but it certainly looks exciting! It’s all about a teenager who is thrust into a new scenario where she begins to discover secrets about her life – I’ll let you know what I think about it! 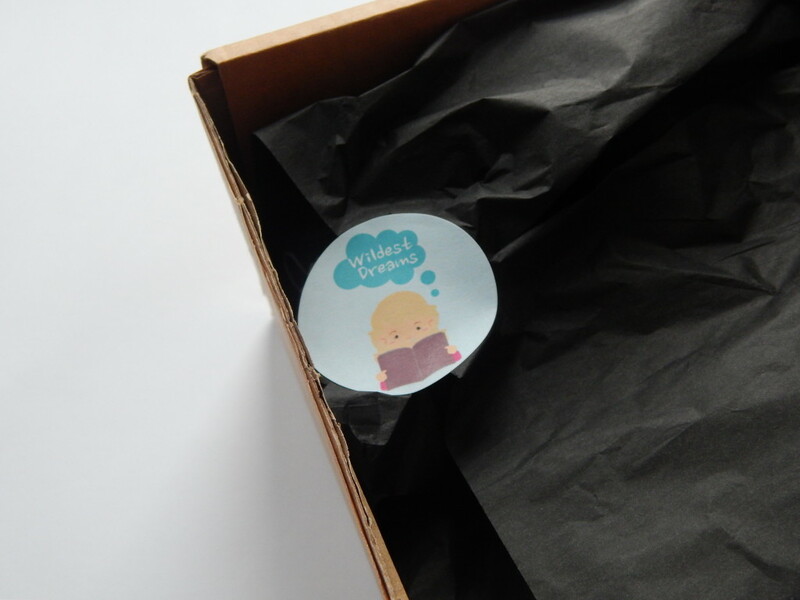 Excitingly, there was also a signed bookplate and a letter from the author inside. 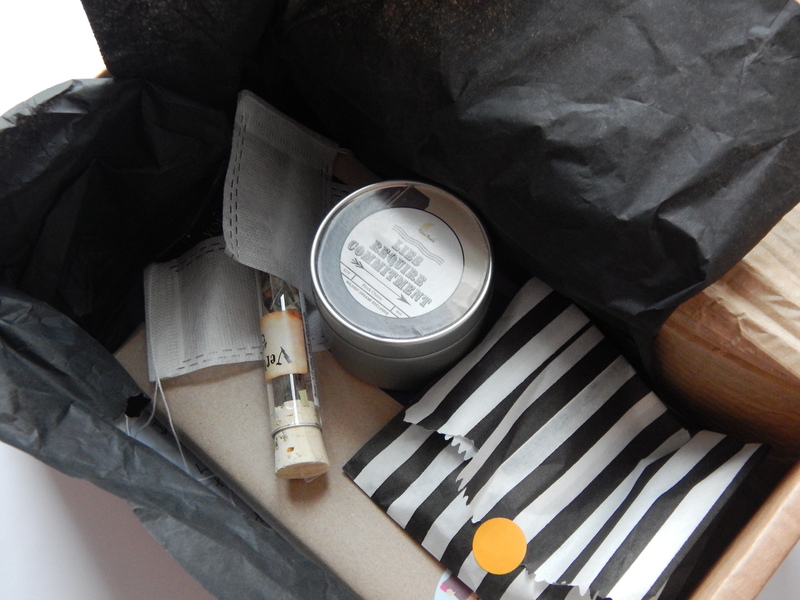 I was so impressed by not only how much was inside this box for £18 but the quality of it all. I wonder what will be in next month’s box! If you’re intrigued and looking for a little more information, you can find the Wildest Dreams website here.